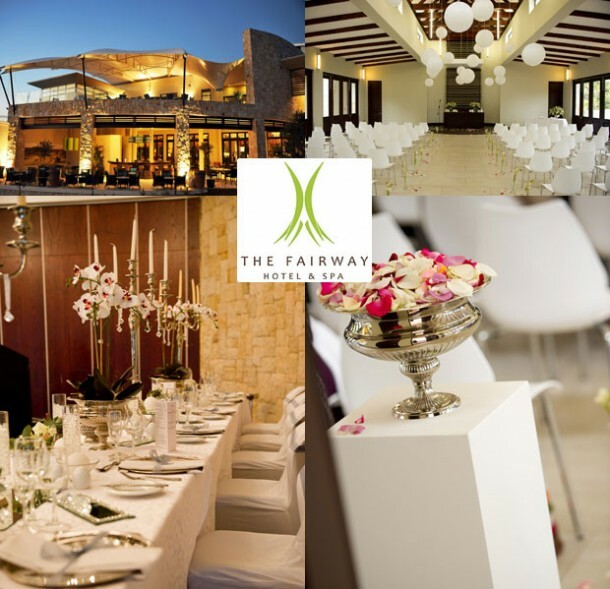 A stunning venue for your Wedding in Gauteng, the brand new Fairway Hotel is a unique 5-star development overlooking the famous Randpark Golf Course, just north east of the clubhouse and offers unequalled views over the course. Their slogan “On par with excellence” reflects the commitment and passion they have for the hotel industry – something that will be evident to you and your guests on your wedding day. The Fairway Hotel & Spa in Randpark Ridge, Gauteng, offers two divine chapels to choose from! The exquisite Windsor Ballroom hosts up to 160 wedding guests and the wedding ceremony can be held either in the Summer or Winter Chapel. Weddings of more than 160 guests can be held at the Randpark Golf Club which is adjacent to the hotel, accommodation for up to 200 guests is available at The Fairway Hotel & Spa. Brides, grooms and bridal parties can also look forward to pampering in The Fairway Spa where qualified therapists are ready to see to all your spa needs. Couples massages come highly recommended as a pre-wedding treat. Spa pamper parties are in vogue for the bridal entourage and may even include the services of the hair salon and nail bar. Contact Reservations at the hotel who will put you in touch with their banqueting team on telephone +27 (0)11 478-8000 or visit The Fairway Hotel & Spa for more photos, info or to send an enquiry. My daughter is turning 12 in April – want to know if you do Pamper parties for girls +- 8 girls we thought of doing it on 20 March 2013 at 12h00 if possible. Please send me a quote as well as what it would include.